How and when to prune lantana bushes is often a highly debated topic. One thing that is agreed upon is the fact that depending on the type of lantana, these plants can get quite large—up to six feet tall and sometimes just as wide. Therefore, trimming lantana plants is something that gardeners will eventually have to do. If not kept under control, not only will they become an eyesore, but they may potentially take over and crowd out other nearby plants. When Lantana Pruning Should Be Done? Some people believe you should be trimming lantana plants in winter, while others say spring. Basically, you should go with whatever timing works best for you; however, spring is always preferable. Not only do you want to remove old growth, but you also want to ensure hardiness throughout winter, especially in colder regions. 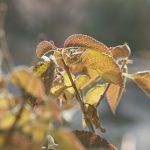 For this reason, fall is definitely out when it comes to pruning lantanas, as this can make them more susceptible to winter cold and moisture brought about by any precipitation. This moisture is thought to be a leading factor in the rotting of lantana crowns. In late winter or early spring, you should prune lantanas back to about six inches to a foot from the ground, especially if there’s a lot of old or dead growth. Overgrown plants can be pruned back to about a third of their height (and spread if necessary). You can also lightly trim lantana plants periodically throughout the season to stimulate new growth and encourage flowering. This is usually done by trimming lantana tips back about one to three inches. Following the pruning of lantana plants, you may also want to apply some light fertilizer. 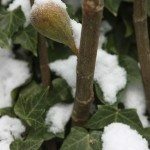 This will not only encourage quicker blooms, but will also help to nourish and rejuvenate the plants after both the long winter nap as well as any stress associated with pruning.